The 2018 Women’s Leadership Institute took place November 2–4 at Florida State University. This annual event, now in its sixth year, is the result of a collaboration between the W4FSU and the FSU Center for Leadership and Social Change. Forty-nine undergraduate women applied to participate in the three-day program to learn and explore their personal leadership identity, leadership capacity and the emotionally intelligent leadership model. Seven volunteer facilitators, selected among FSU faculty, staff and other community members, guided our students throughout this powerful experience. WLI has been recognized by the National Association of Student Affairs Professionals as one of the most outstanding new programs in higher education leadership. The WLI Planning Committee works diligently to update the curriculum every year, ensuring we provide the most current leadership theories and experiences crafted for the young women of today. The students and facilitators work together to increase participants’ healthy self-esteem and authenticity, as well as the role they play in developing relationships, citizenship and capitalizing on individual differences. Through both large and small group experiences, students recognize they need not question their capacity to lead, nor their ability to change the system, to affect the change they wish to see in their communities and the world. Our goals for 2018 included adding the capacity of “developing citizenship,” allowing us to promote giving back to the community through leadership, as well as developing the understanding that anyone can be a leader regardless of position. 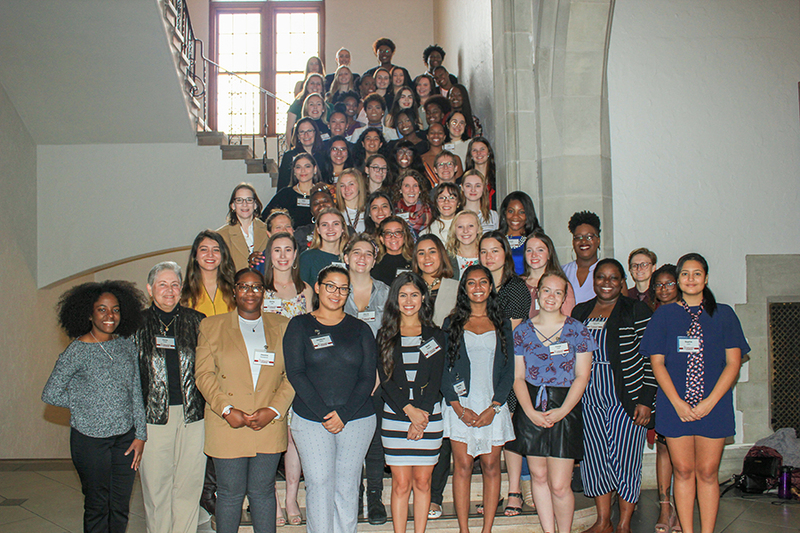 At the conclusion of this year’s program, the number of Florida State students impacted by the Women’s Leadership Institute since its inception in 2013 rose to 275. WLI is a premier program of Women for FSU and is supported by W4FSU and the Tully/Levine Family Fund.